Today you will discover the low land of Doing Thap province. It is the lowest farming land in Mekong Delta’ Vietnam. Many border provinces including Dong Thap have yearly flooded season. That’s why the last yearly rice harvests are usually takes place before flooded season coming. You can see most locals living on stilt-houses and each house is usually owns it small sampan boat. The highlight of today is to stop at the monastery which built after French’s invasion. It was inaugurated in 1877 and its three years older than the Notre Dame Cathedral in Saigon. After your have lunch in Cho Moi, we continue to rock and roll on bike on unique countryside back roads passing new farming land, ride across huge farming land and have a ferry crossing Basac River to Chau Doc border town. We named our tour " HELLO 2 weddings and a funeral"
Our cycling trip from Ho Chi Minh City To Phnom Penh was an experience my partner and myself will cherish for the rest of our lives. We were blessed and most fortunate to have had Loc as our guide. The love and passion he has for Vietnam, its food, its people and their culture opened our hearts and enabled us to experience a country like never before. This young man of 25 years of age had us captivated the whole trip with his humble compassionate heart. We were stopped on our path and invited in to 2 weddings on the same day. Both involved doing countless shots of rice wine and food being handed to you from every direction. We were overwhelmed by their generosity, their interest in us but most of all by their acceptance and love. We also were invited to join a large group who for every year for a generation celebrate the passing of a loved one. Well this involved pretty much the same as the weddings, rice wine shots, food and packed you up with mangoes or coco nuts to take with you. We had a wonderful tour filled with really good cycle guide Dat who was very helpful, friendly and full of an excellent knowledge and great recommendations for any and all our needs. 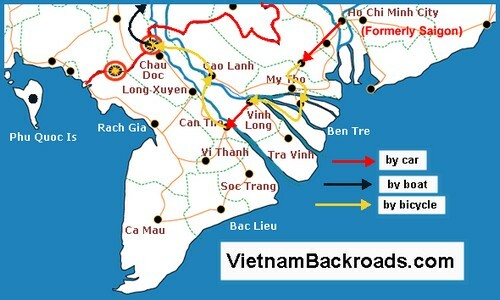 Thank you to Miss Quang who was very helpful when we organise the booking and also thank to our driver and all the team from Vietnam Backroads.